According to the display, my flight to Cleveland is delayed. 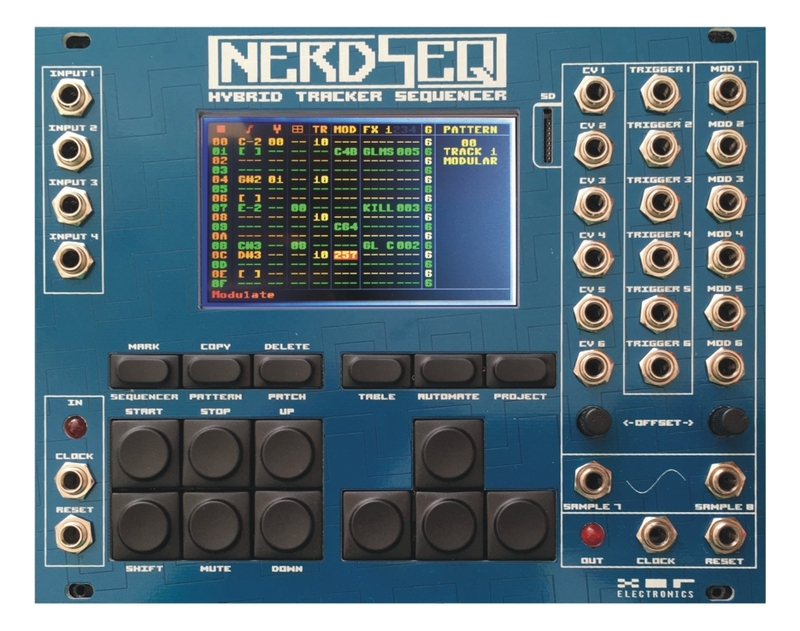 amazing sequencer, can't wait to get one. If you are familiar with little sound dj on gameboy, yo know how endless the sequence and modulation possibilities are. The sega gamepad is a very ergonomic interface to program the sequencer. I've used gameboys a lot and it always amazed me how quick and effective you can program stuff on it with only a few buttons. Kind of funny since I moved to eurorack to get away from trackers... I'm sure this'll be good for some people though. Do you have any experience with this module? Is it similar to LSDJ in operation? I only had a short time with the module, Operation is more or less the same. If you can work with lsdj ,you can work with the nerdseq as well. It's a bit easier to navigate than lsdj, because you have buttons for the different screens. They're more shooting for a FastTracker 2 retro feel, I suspect. I've been checking the NerdSEQ page for months now with the little progress bars always maxing out at the same level. A serious lack of activity, might be best to look elsewhere. Has anyone checked in to see if they are ok? He was talking April last time I asked him. I spoke to the maker last week , and the module is almost there. The firmware is mostly finished. He had to search for new screens , but that was done as well. I think a few months max. and it will be there. His plan was to have some units finished for Superbooth. Spoke to him last night, actually. Asking a few questions. If the MIDI expander will make it do polyphonic sequencing (it will! In a future update, 3 note polyphony). And you can use a midi (or Cv) keyboard to record sequences . Now some information. I am Thomas Margolf, the developer of the Nerdseq (and the Nerdsynth), founder of XOR Electronics which is my one man company name for the synth products. Actually i didn't want to post anything about it here before i had it finished, but here we are. but i put every free minute in it (next to a full-time job and wife + 2 kids ). I will get there soon! In general, i am at the very last steps for the release. At this point there is a beta-tester batch in production which will be ready within 2-3 weeks and then the beta testing starts. I still got to put some work into the firmware but all critical parts are working well, all main functions are working stable. be safely updated with the SD card...a matter of 2 minutes. Because it is quite a complex module, i want to have everything right, so it takes and took a bit longer than expected. I think April is a good indication for the first real batch. I do my very best to get a first production done until then. I also booked a table at Superbooth, so if you are interrested, come by and play with it and ask me any question you want. And also feel free to ask me any questions here. PS: I am sure this is not a module for everyone, but i am also sure i can make some people very happy with it (including me). thats great news , got my ticket already and this kind of module could be an all time fav. will check for sure. I mean, it is a tracker/sampler. It is definitely going to function very similar to tracker apps for Win/OSX and naturally, LSDJ used on DMG-1 gameboys. Very rad addition to the eurorack world, but also very niche. 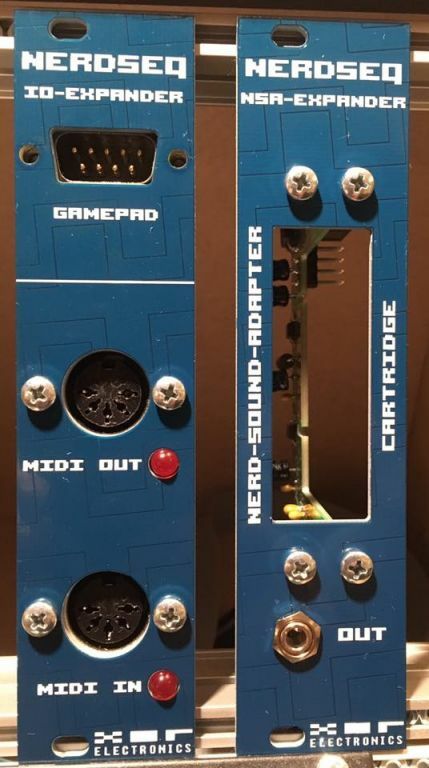 I visited one of the guys yesterday at Superbooth and he gave me a great overview of the Nerdseq and the additional expanders. I really like the idea I must admit. There will be all kinds of Cartridges (even C64). Ohh, can use samples also! A) Is it possible to record samples?